Justin Timberlake Archive - #Finderskeepers: Meet and Greet at the Last #JT2020Tour Show! You are here: Home / News / #Finderskeepers: Meet and Greet at the Last #JT2020Tour Show! #Finderskeepers: Meet and Greet at the Last #JT2020Tour Show! 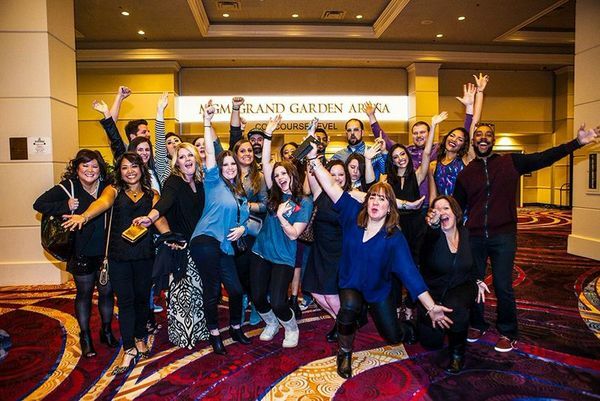 On Friday, January 2nd, Justin and The Tennessee Kids brought The 20/20 Experience World Tour to the stage one last time at the MGM Grand Garden Arena in Las Vegas, and it was time for the #Finderskeepers winners from November 20th to claim their prize! - A meet & greet with Justin before the show!!!! On the morning of January 2nd, the #Finderskeepers arrived in Las Vegas, checked into the MGM Grand Hotel & Casino, and picked up their Ultimate End of #JT2020Tour Swag Bags - complete with their tickets and $500 MasterCard gift card. @justintimberlake: "All our bags are packed...#JT2020Tour. Big thanks to the folks who helped us spoil the #Finderskeepers winners with #Swagbags @MGMGrand @Sauza901 @williamrastofficial @LiveNation @MasterCard #FulBags." The winners met for a cheers with TeamJT at Michael Mina's - Bar 1842 in the MGM Grand and then went off for their meet and greet with Justin himself!! Then the winners were off to the final #JT2020Tour show! It was one for the books! what an amazing night! Even tho the pics prove I was there (Boston), it still feels like a dream! What an awesome opportunity!!! I see my girls Amanda and Sarah!!! Pictures turned out great! !